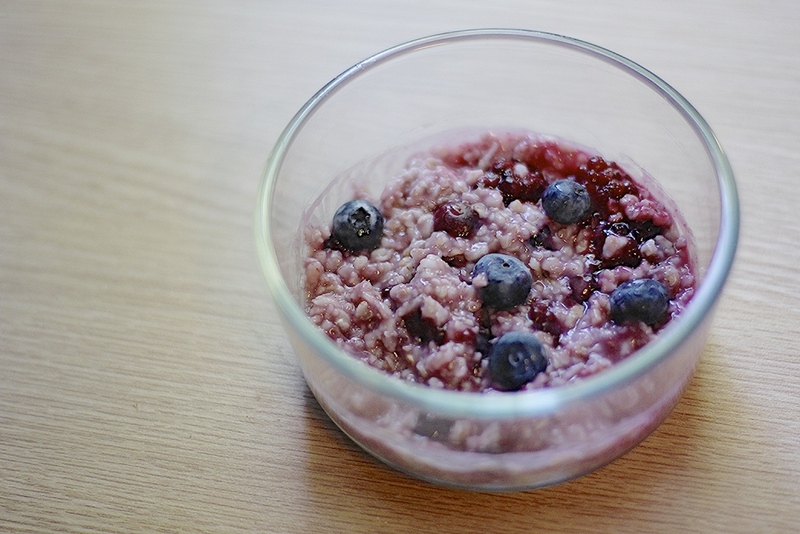 Discover the greatness of accessorizing plain oats. 1. Some type of liquid. This can be water if you going for a lighter snack. Other alternatives include whole milk, skim milk, chocolate milk, soy milk, almond milk, rice milk, etc. 2. Fresh fruit. Blueberries, raspberries and strawberries are awesome classics, but really any fresh fruit would be delicious. I like to cut up bananas into the oatmeal before I put the whole thing in the microwave, which allows its natural sweetness to spread through. 3. Frozen fruit. I buy frozen berries with no sugar or syrup added and they last a long time in the freezer. When you heat them up enough, they taste just as good as fresh fruit. If you’re worried about fresh fruit going bad before you get the chance to eat it, frozen berries may be the way to go. 4. Dried fruit. Raisins are my personal favorite, but dates, craisins, figs, apricots and any other dried fruit will do. 5. Sweeteners (optional). I like to use more natural sweeteners rather than white sugar. 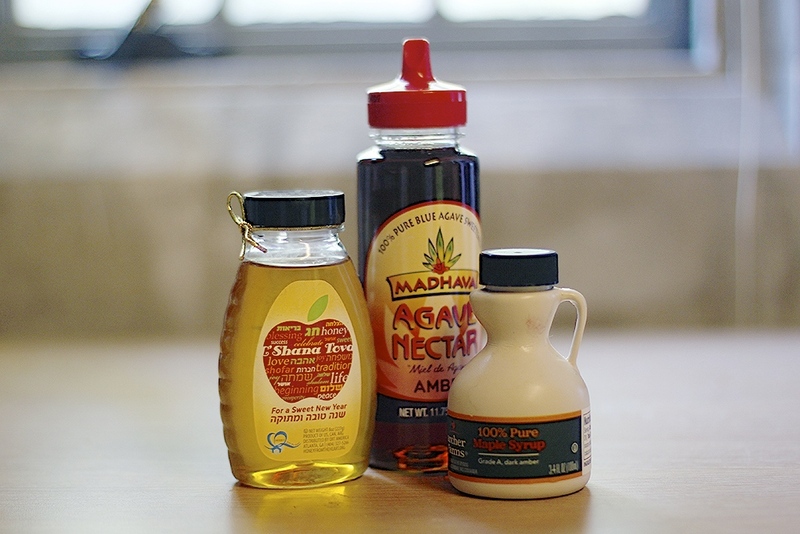 Maple syrup, agave syrup, honey or brown sugar are all excellent options. 6. Miscellaneous additions. Any nuts (especially almonds or walnuts), chia seeds, flaxseeds, sunflower seeds, granola, cinnamon, nutmeg and peanut butter (or any nut butter) are tasty and healthy. But be careful with nut butters – store bought ones can often be loaded with extra fat and sugar, so make sure you go for the natural options and check the ingredient list before you buy (if there are more than two or three ingredients, it’s probably not so good for you). You can also add protein powder, if you want the extra boost. 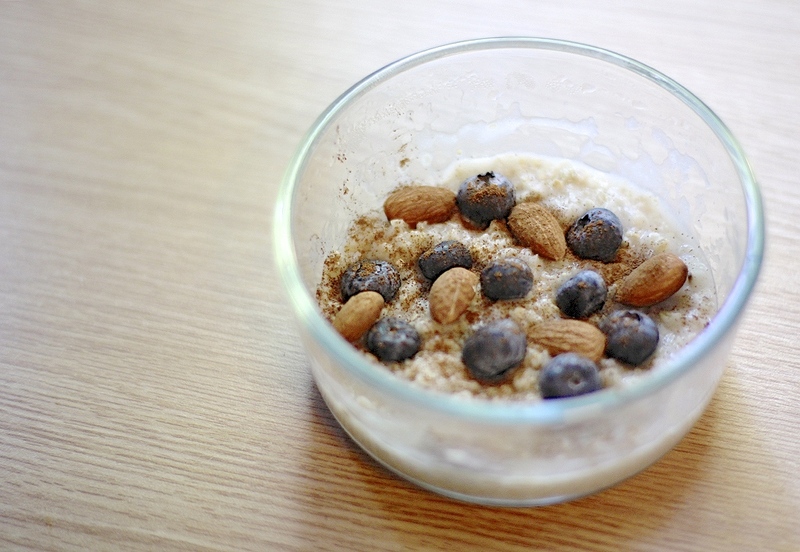 So ditch the packages of sugar-filled, pre-flavored oatmeal. 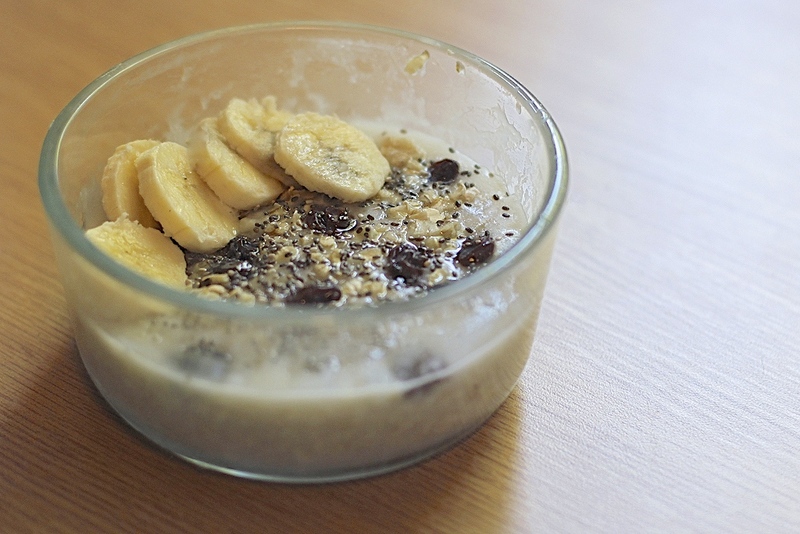 A box of oats will last you the year and every oatmeal creation can be a new, delicious, healthy experiment. Want more? Click here for combination ideas and breakfast recipes you would never imagine. Or here for more recipes like oatmeal bites, oatmeal cakes, and oatmeal cupcakes. If you want more ideas on what to do with oats, check out Buzzfeed’s take on homemade granola or these 50 unbelievable recipes for pan-seared oatmeal, oat bars, savory oatmeal, oat breads, and oat cakes and cookies.